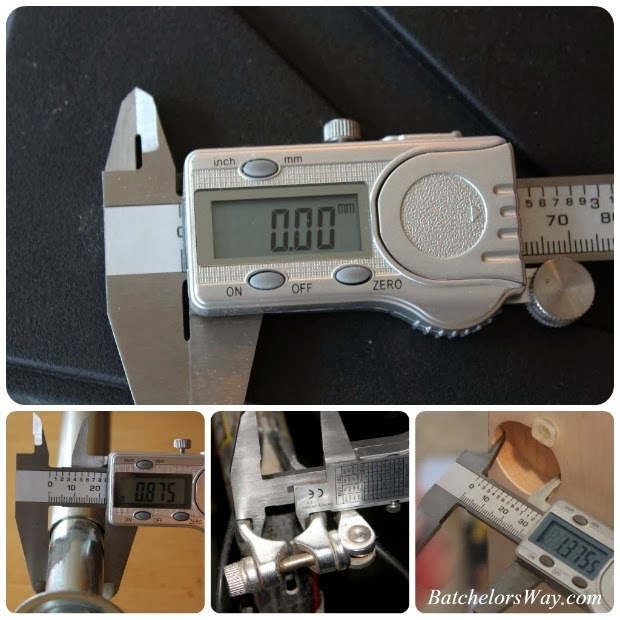 Batchelors Way: Tool Review Day 2 -Digital Caliper and tool give away! Tool Review Day 2 -Digital Caliper and tool give away! 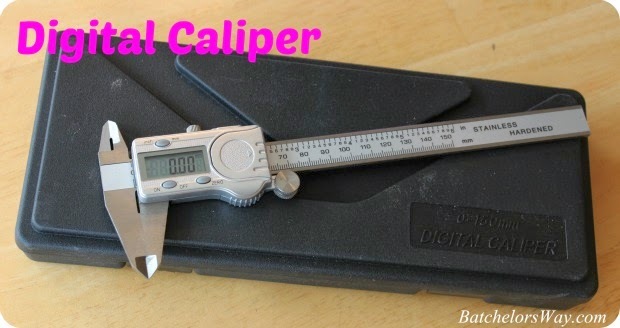 Today I am reviewing another tool from Empire, its a Digital Caliper. OK, I'm a tool geek!! I can't say I haven't envied many a tool in my life time!! This is hardened stainless steel with a satin chrome finish. It is 9-1/8" long. It can take inside, outside, and depth measurements. It features an LCD display with automatic power off. It came with this hard case to protect it and a battery. We found lots of uses for this baby, like measuring our closet post diameter, or hinge size. Les is especially glad he knows what size post he needs to fix his bike seat!! OK we definitely give this a thumbs up! Now use the widget below to enter the Contour Gauge giveaway from Empire.